SV Werder Bremen can put further daylight between themselves and the relegation zone with a positive result at home to 1. FC Köln on Saturday (kick-off 15:30CET/14:30GMT). Bremen come into the game buoyed by a pair of Max Kruse-inspired wins against FC Ingolstadt 04 and Hertha Berlin. Injury had limited his playing time until recently, but the Germany international has underlined his worth to lift Bremen's morale and give them hope of a hat-trick of victories that could see Alexander Nouri's much-improved charges go seven points clear of the bottom three. Köln were close to pulling off a massive coup on Matchday 14, before Marco Reus popped up with a late equaliser to salvage Borussia Dortmund a 1-1 draw. 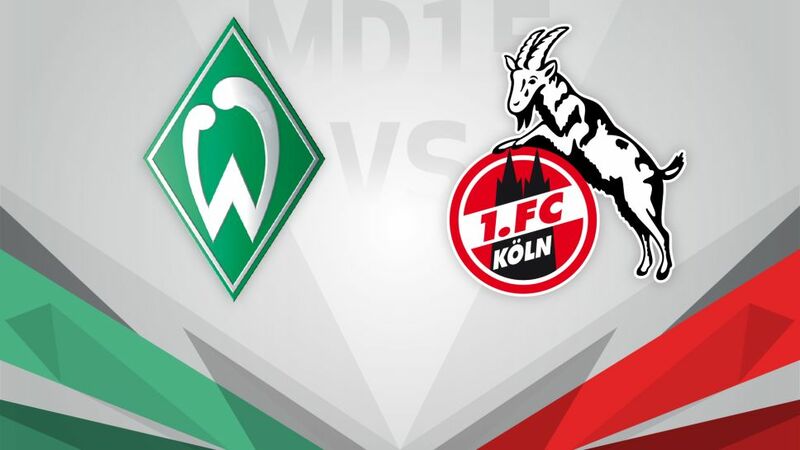 The Billy Goats are winless in three, but are still sniffing around the top six and a third away win of the season - as well as a return to the goals for Anthony Modeste - would be a perfect fillip ahead of their final game of 2016.